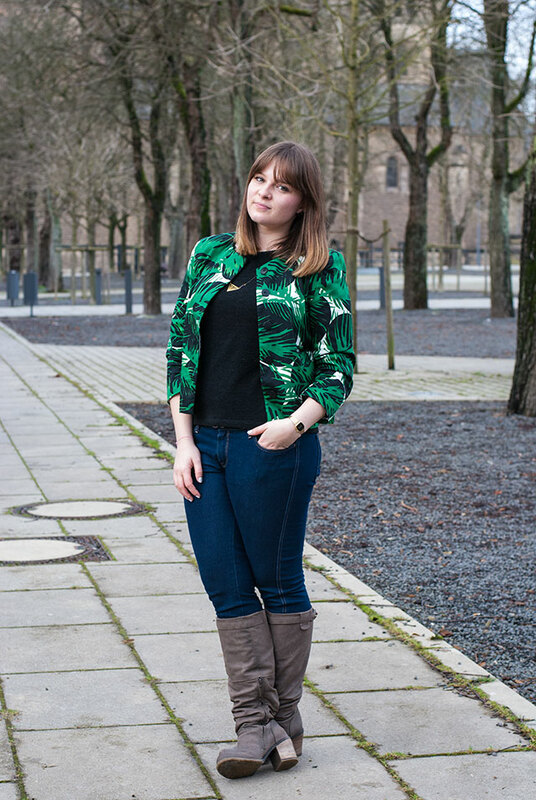 The tropical Zara blazer is simply stunning. 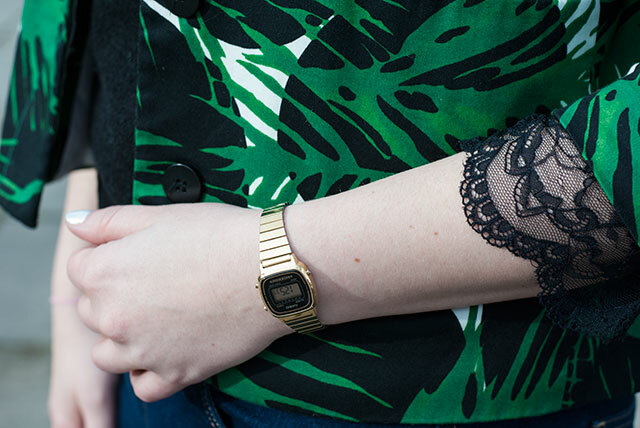 I am a huge fan of tropical print & I like that you rock it during the colder months. You look great on the first pic! I like green and I think that it's a shame that it's quite rare to find in relation to clothes. you look super adorable ! Love the way you put in this colorful blazer ! Love the color and print! It's modern and against those bright blue jeans and those the taupe boots the outfit is really gorgeous and chic! I love this! 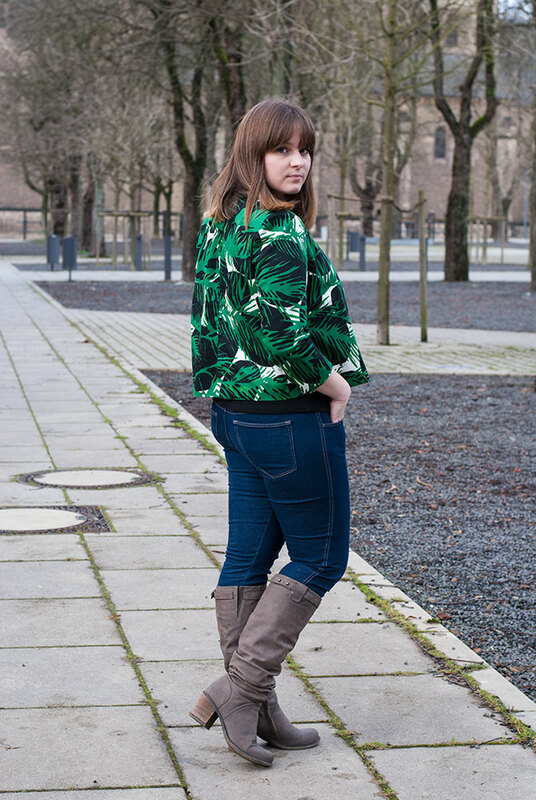 Your jacket definitely emits tropical vibes! Love it!